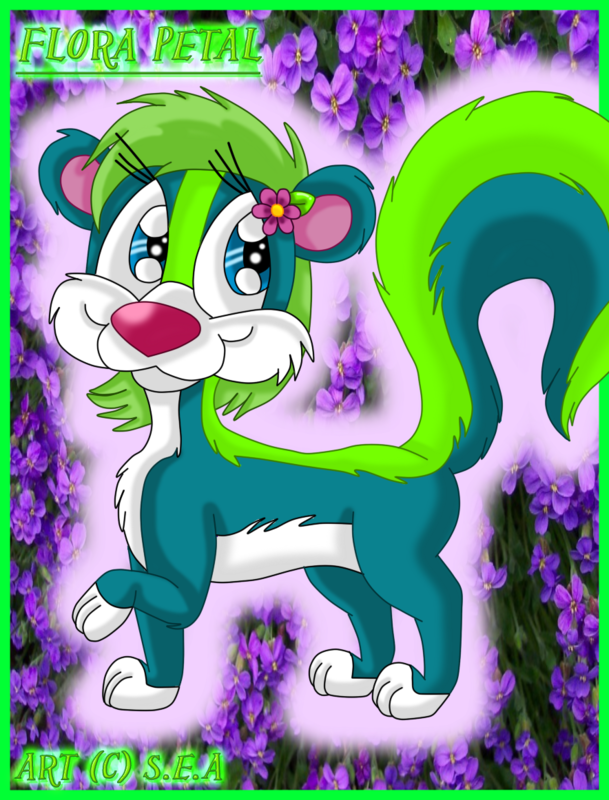 This is another skunk character of mine named Flora. Flora is mainly a feral character but she does have an anthro form. Floral has a girlfriend named Fernie a raccoon. Flora has magical powers that involve plant life.